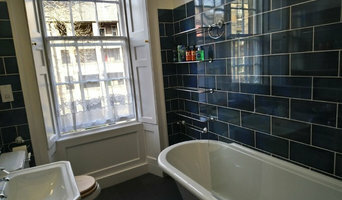 Property Renovation UK is a family company with 15 years experience. Our offer is addressed to people who are looking for modern and traditional solutions. Exprience gained over 15 years allows us to satisfy each of our customers. Our team includes ten high skilled specialists, it allows us to make a job of any size and standard into real life. At eh property we can assist in the supervision & management of your project from the Design , submission of plans to supervision of works to the final hand over of keys . We have experience of and are happy to Project Manage large renovation & refurbishments as well as offering a smaller bespoke service. Our service is tailor-made and bespoke to meet our clients,tastes and budgets. We have built a reputation for our designer Bathrooms & Kitchens and have developed a unique skill in utilising cutting edge design whilst keeping a keen eye on budget .We have, through experience, uncovered the key elements that provide a quality finish whilst meeting the individual needs and tastes of our clients. 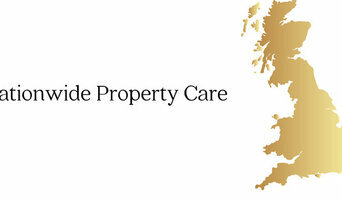 Nationwide Property Care has a team of highly qualified Period Property Specialists who have a vast knowledge of period properties. Our key objective is to preserve and or restore period properties through the UK. * Our team is trained in traditional Preservation and restoration techniques ensuring you our valued customers an unrivaled service second to none. * We carry provide a landlord Buy to Let Restoration Service if your property has been left damaged by previous tenants or your new purchased property requires updating and it decorating prior to Letting out. Fine builders, main contractor and designers experienced in refurbishing period properties to create beautiful homes for private clients. We offer a holistic approach to refurbishment projects: from pre-purchase through all design stages including architecture, interior design and construction undertaken by our in-house team. Property maintenance and building conservation will be important to you if you’ve taken on a period property in Dunfermline, Fife that you’d like to restore or at least maintain its period features. House restoration work needs to be very careful and precise, so it’s really important that you call in a Dunfermline, Fife building restoration expert with really good credentials to carry out the work for you. It will be even more important if you live in a conservation area or a listed property where you will be restricted in what you can change. 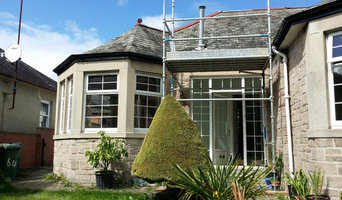 Restorers and building conservation experts in Dunfermline, Fife can specialise in certain fields. Whether you need fireplaces, shutters, sash windows, stained glass or brickwork restored or recreated, there’s a Dunfermline, Fife period property and restoration specialist who can take on the job. There are also some Dunfermline, Fife restoration and property maintenance companies that will offer comprehensive building restoration services, employing plasterers, joiners, stone masons, plumbers and electricians to cover all tasks you need tackling. 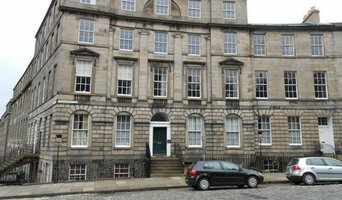 Why would I want to hire a Dunfermline, Fife period property or house restoration specialist? 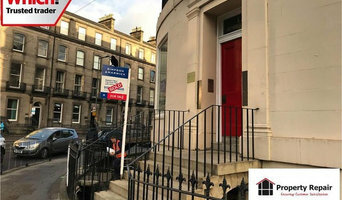 Besides the aesthetic side of period building restoration, it may be the case that without hiring a professional Dunfermline, Fife house restoration builder you would literally have to tear down your home and start again because it may be impossible to carry out regular repair work on a very old building. This is certainly true for listed properties or properties in conservation areas where certain changes are restricted and the appearance needs to be preserved. When would I need to hire a Dunfermline, Fife period property or restoration specialist? A property maintenance company in Dunfermline, Fife will be able to help with all sorts of house restoration, from mould and rot removal to replastering and masonry cleaning, but if you have a period property, check that they are experienced with period and historic buildings first. For larger structural work, perhaps if you’re completely renovating a dilapidated building, look for Dunfermline, Fife building restoration companies that can source original, or very close to original, materials to match the ones used in your home currently. Brick and stone matching, lime repointing, and roof and gable replacements can all be achievable and effective when done by the experts. Find period property and restoration specialists on Houzz. Narrow your search for Dunfermline, Fife restoration professionals by entering your nearest city or postcode. Look at portfolio and product photos, and read reviews to find the best building restoration professionals for your home.